I will give a workshop on Saturday October 15th on how to make feminist posters. The posters of the Feminist Poster Project can be shown as good examples. The Zine Fest will take place in Gent (Belgium). It is organised by FEL and ECHO. 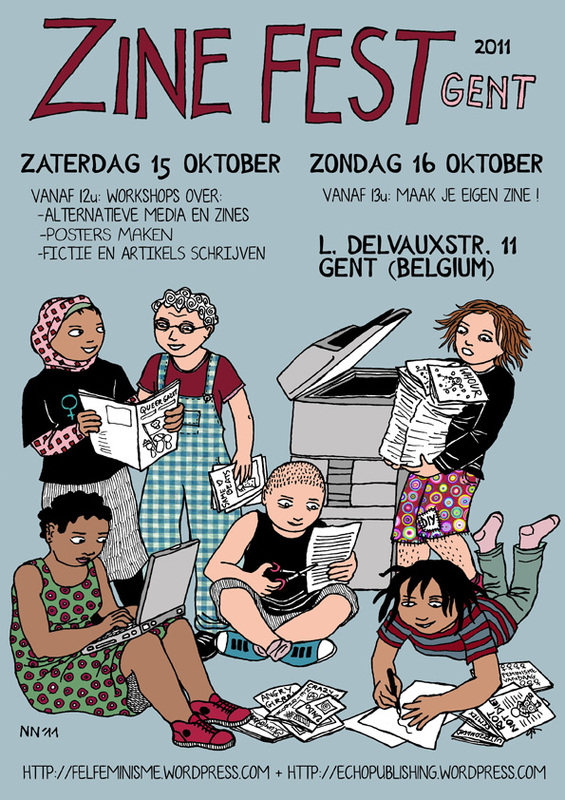 This entry was posted in Activities, Exhibition, News, Workshop and tagged alternative media, DIY, festival, making posters, zine fest, zinefest. Bookmark the permalink.